Take the underground Metro one stop till 'Blaha Lujza ter', change to tram number 4 or 6 (every 4 minutes) towards 'Moszkva ter'. Travel two stops until 'Király utca'. Get off and pass 'SPAR SuperMarket' on the corner, we are in building number 60 on the right side (opposite Melory Sport store- next to blue sign carpet store) of 'Kiraly utca'. Take tram number 4 or 6 (every 4 minutes) from in front of the station towards 'Fehervari ut' / 'Moricz Zsigmond'. Travel two stops until 'Király utca'. Get off and pass 'SPAR SuperMarket' on the corner, we are in building number 60 on the right side (opposite Melory Sport store- next to blue sign carpet store) of 'Kiraly utca'. 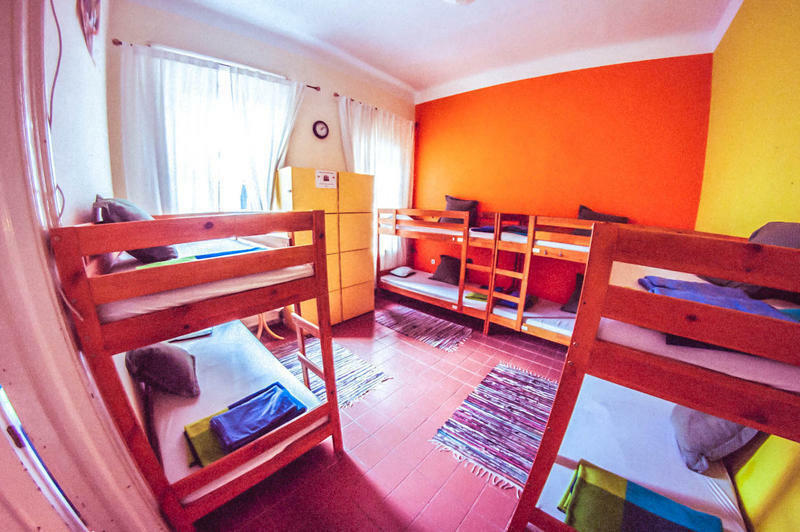 HOSTEL POLICY When you stay in a youth hostel the most important rule above everything is to RESPECT ALL PEOPLE. 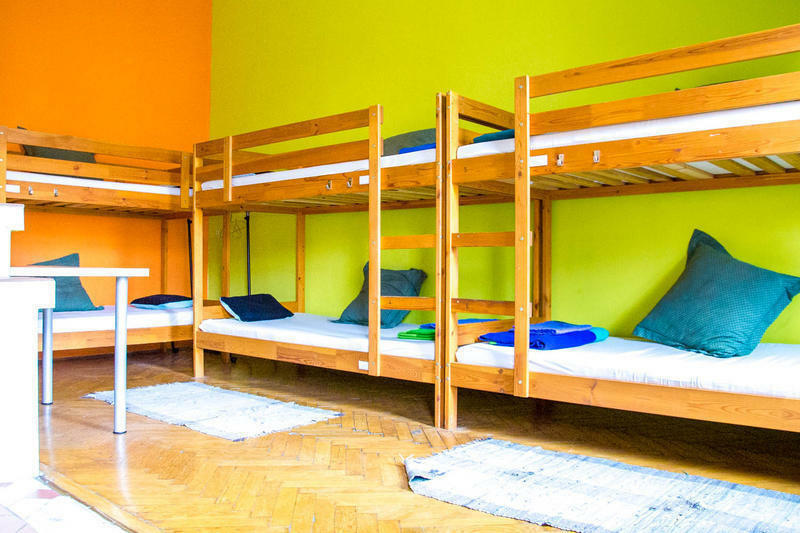 QUIET POLICY Unity Hostel Budapest gives you both. Our hostel is so centrally located that you can reach all major sites within 15 minutes walk or you can find the best underground bars, most popular clubs around in our district. To make both type of travelers satisfied we have to strictly enforce our QUIET POLICY AFTER 10 PM. To avoid parties and late night socializing all COMMON ROOMS CLOSE AT MIDNIGHT! 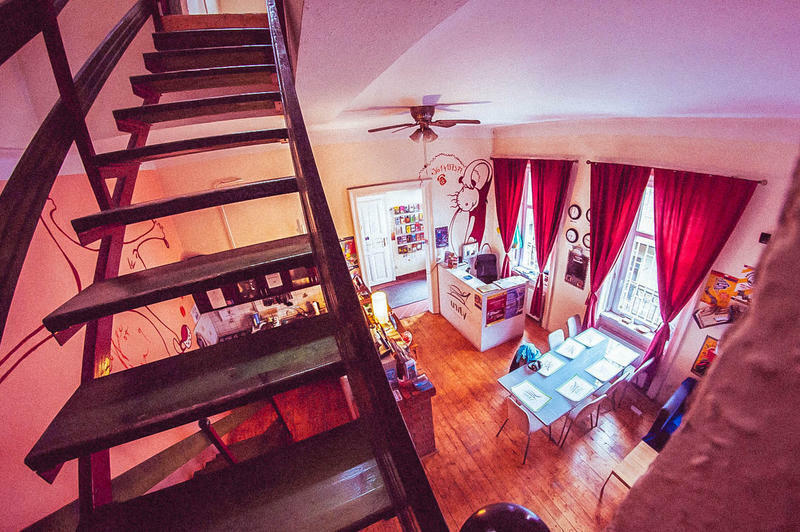 Unity Hostel is located in a residential building in center of Budapest. We maintain good relationship with our neighbors and we want to keep it that way. So please avoid making noise after 10 pm and please be generally mindful of their presence as you move around the building. We don't have curfew or lock out. You can use your own key to get in the hostel 24/7, but we ask you to not disturb others when returning late at night. Especially you have to keep this rule when you going down or coming up to the hostel. Signing our registration card you do accept this rule. Our night receptionist is your ultimate party info all night with the best ideas. 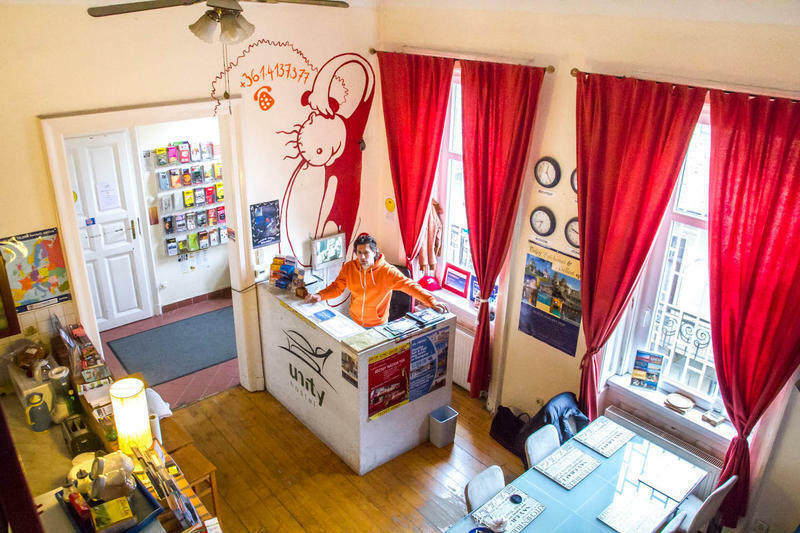 BREAKING THIS RULE PROCURES IMMEDIATE CANCELLATION OF YOUR STAY AT UNITY HOSTEL BUDAPEST! 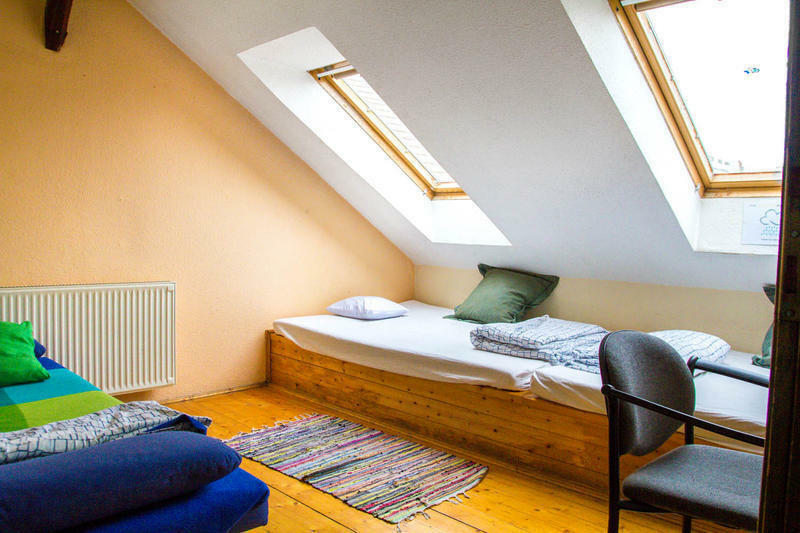 DORMITORIES As you travel in various countries, your sleeping bag sometimes accommodates some unexpected buddies such as bed bugs. As they don't pay for the accommodation we don't want them in our hostel either. So please be so kind and do not use your sleeping bag. We provide clean and fresh linen to all type of accommodations. BATHROOM We clean our bathrooms twice a day so please don't leave your personal items there. LAUNDRY Service is available till 10 pm. Costs HUF 2500,-/ load / including washing, drying. 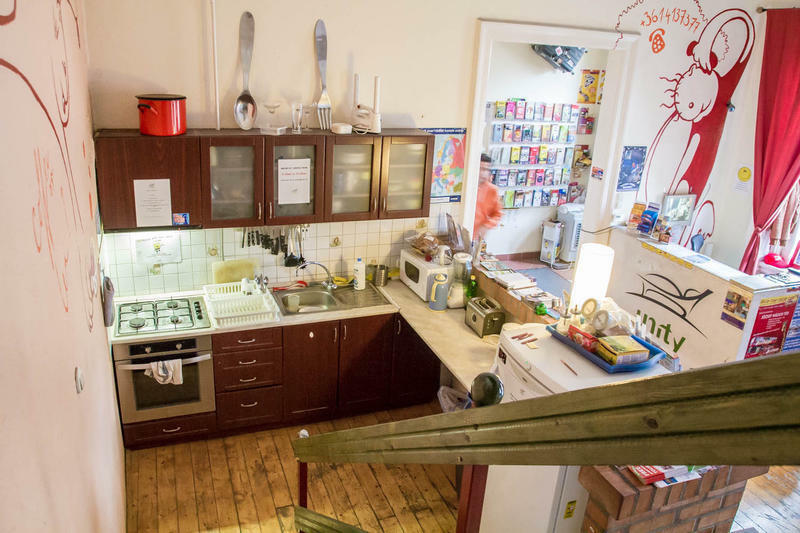 KITCHEN As we have a full equipped kitchen you might want to make some delicious dish you've been missing for long time. Feel free to do it from 10:00-22:00. Only thing we ask you CLEAN AS YOU GO! Food and beverages placed in our fridge needs to be labeled by provided stickers. SMOKING RULES We are non smokers! 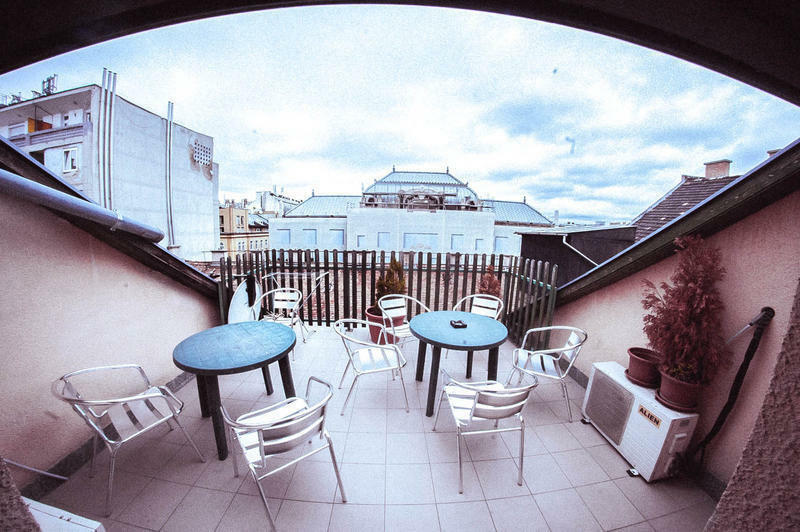 Only place you can smoke is our roof terrace. Open till dark. SECURITY Hostel ( free of charge ) provides security lockers big enough for your whole backpack. Please use it because we can not take responsibility for any loss, theft or damage to any guest property whatever the cause. Small valuables can be secured in our safe. 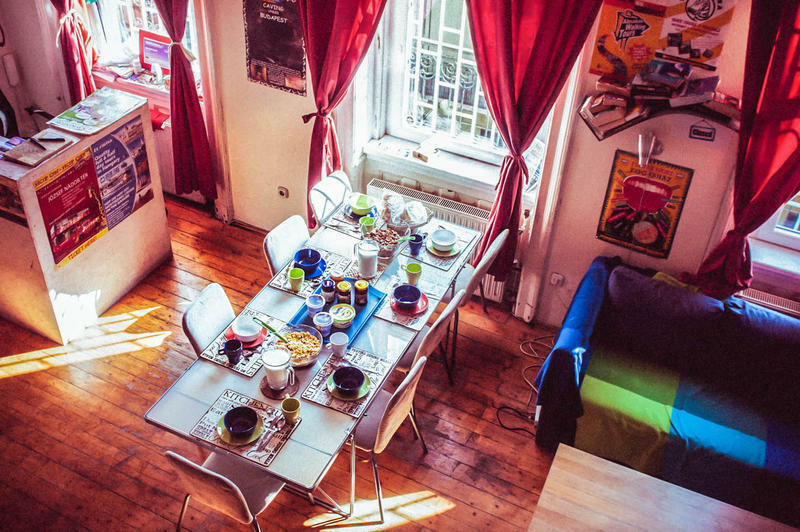 RESERVATIONS Bookings can be made through different booking sites such as hostelworld.com. When booking has been made online on this mentioned site you will be charged a 12% deposit. 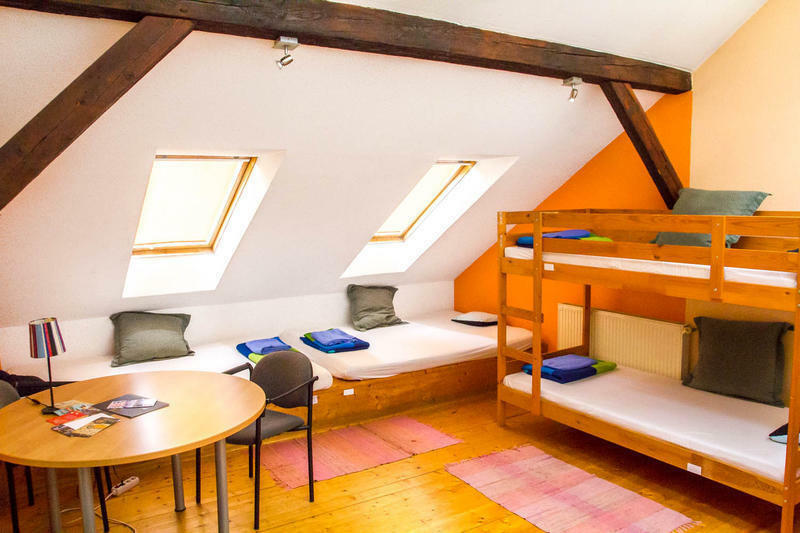 This is automatically taken by the booking engine and not by Unity Hostel Budapest. It is non-refundable and non-transferable. 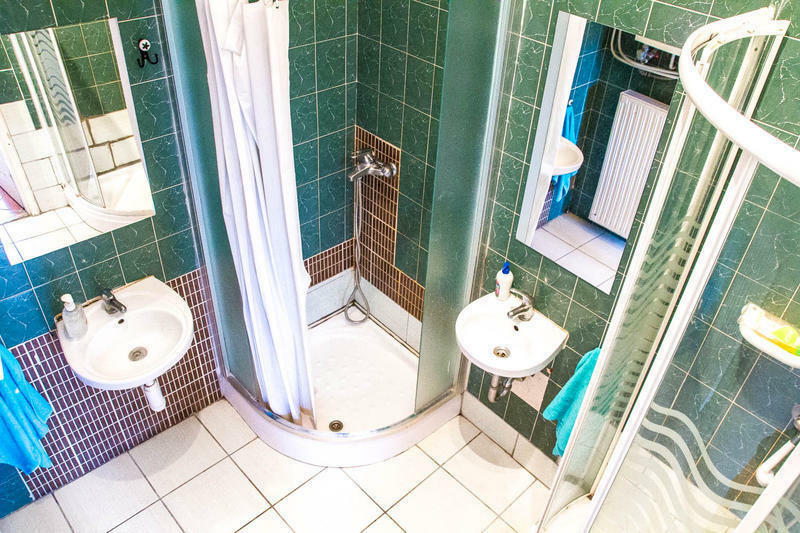 The deposit is calculated on a per person per night basis. Changes in a reservation to the number of people or nights could result in a loss of some or all of your deposit. Booking through our official site: can be made 24/7. Filling out our ONLINE RESERVATION REQUEST FORM is only a booking request. We guarantee to response all emails within 12 hours. BALANCE DUE MUST BE PAID UPPON ARRIVAL only in Hungarian Forints (HUF). We cannot accept cheques or credit cards. Hungarian Forint prices are calculated daily, based on the official exchange rate of the Hungarian Bank MKB. (www.mkb.hu). Non-compliance with any of the rules will result in immediate CANCELLATION of your reservation.